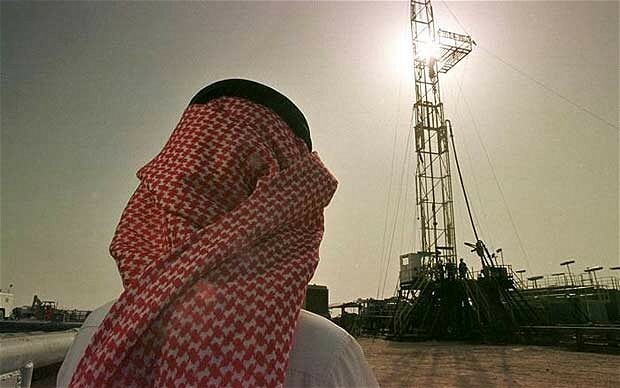 The Kingdom of Saudi Arabia (KSA) is pushing to diversify its economy beyond natural resource. Transitioning towards a knowledge-based economy is its optimal development strategy. In pursuing this strategy, the Kingdom is focusing on science and technology. As the technological requirements of the global economy grow, there is increasing pressure on the educational system to produce graduates who have the skills to be productive in that economy. In its Ninth Five-Year Development Plan (2010- 2014), the Kingdom has stated it seeks to end the dependency on oil for economic growth. The Eighth Development Plan focused on fundamental developments that laid the basis for heading toward a knowledge-based economy. These included starting implementation of the first five-year plan of the National Science, Technology, and Innovation Policy; adopting the National ICT Plan, the National Industrial Strategy, and the Strategy and Plan for Giftedness, Creativity and Supporting Innovation; establishing the Knowledge Economic City in Madina, and the Technology Zone of the Saudi Organization for Industrial Estate and Technology Zones in Dammam. The Ninth Development Plan adopts the drive towards a knowledge-based economy through focusing on education, which disseminates knowledge, paving the way for knowledge transfer and accumulation and thereafter knowledge generation and utilization of knowledge in various economic and social sectors, particularly in production and service activities. Through these endeavors, the Ninth Plan aims at enhancing the economy’s comparative advantage, increasing the new competitive advantages, diversifying the economy, increasing its competitiveness and productivity and creating new, suitable employment opportunities for citizens. Basically, the Ninth Development Plan was developed to emphasize that knowledge is central to increased economic growth and development. Through the Plan, $240 million are provided annually as grants for research to encourage innovation in research and technology, the cornerstone of a knowledge-based economy. Furthermore, the Plan entails other initiatives, such as the establishment of fifteen university-technological innovation centers in collaboration with King Abdullah City for Science and Technology (KACST), ten research centers, and at least ten incubators of technology at KACST and other universities. The government of Saudi is also continually promoting collaboration between universities and international companies for commercialization and transfer of knowledge. The Ministry of Higher Education in the Kingdom has been seen to advance the innovation agenda since it has launched several scientific and technological initiatives so that innovation potentials can be fostered and thus make the Saudi economy to be highly competitive. The Ministry has launched several initiatives that aid in the development of human resources to encourage the occurrence of innovations and discoveries in the field of science and technology. The Ministry also strengthened the role of the university in scientific research by establishing scientific research centers, since parks, and technology incubators at various universities. In addition, the Saudi government has expanded the establishment of new public and private universities and colleges to widen the knowledge net and foster proper education to the citizens. Universities in the KSA create a network of research centers in the country where the students are the think tanks and thus facilitate the taping into the growing stock of global knowledge. Once this global knowledge is tapped by the researchers and/or innovators, they assimilate knowledge that has been acquired to the local needs of the country. This helps to create knowledge, diffuse technology and, in the end, aid the technological development of the country. The institutions of higher learning have changed the way wealth is perceived in the country from just being a superpower in industrial and energy products to being a country where wealth is also measured through the value created via resourceful application of knowledge. This has been achieved through the universities’ ambition to build capacity in order to access, create, and use knowledge so that the competitiveness and economic incentives can be strengthened. Universities in Saudi Arabia are playing a fundamental role toward the Kingdom’s transition into a knowledge-based economy and hence toward economic growth and development. This has been achieved through production, spreading, transfer, and utilization of knowledge; through research, scholarships as at KAUST, partnerships with other international universities, and collaboration with local and international businesses. It is universally known that the principal means of disseminating knowledge in society is education, from the lowest level to post-university level. General education constitutes the foundation for the capacity building required by the drive toward a knowledge-based economy. King Abdullah’s program for education development (Tatweer) has been launched with the aim of addressing issues at all levels of education needing further attention, such as quality of education, teacher training, and curriculum development. The program aims at focusing on science; technology and mathematics; expansion of skill-development activities, particularly analytical thinking and hands-on skills, initiative, innovation, and entrepreneurship; languages; and future and emerging sciences. However, higher education is one of the most important stages of the build-up toward a knowledge-based economy. The Kingdom of Saudi Arabia’s initiative of establishing universities was so that these could serve the purpose of building a high value human capital compatible with the knowledge age. This plan for the future of university education was commissioned by the Saudi Ministry of Higher Education in 2004 to advance the components of higher learning and to enable it to respond to the needs of the sustained development of the country. Institutions of higher learning in Saudi Arabia have put tremendous efforts into the development of knowledge centers. The major research centers and institutes at the Saudi universities are directing a substantial part of their Research and Development (R&D) activities on issues related to building a Saudi knowledge society and providing the foundation of a strong Saudi knowledge-based economy with the academic institutions as the prime motivators and managers. An example is the comprehensive research conducted by the Center of Strategic Studies at King Abdulaziz University with the results published in over 44 documents in its “Knowledge Series.” King Abdulaziz University has also become noted for establishing the Wadi Jeddah Company, a university-owned organization focused on knowledge-based investments. Similarly, the Riyadh Techno Valley (RTV) is one of the contributions of King Saud University (KSU) in building a partnership with the public and private sectors in the area of knowledge economics. King Saud University is seeking to play a full part in this strategy through the development of a substantial science and technology park, “Riyadh Techno Valley – King Saud University (RTVKSU),” on its Riyadh campus. Through this project, KSU aims to satisfy the demands of the knowledge-based industries and to commercialize its research findings, in addition to enhancing the research environment and encouraging researchers and graduates to participate in the incubation program and to establish spin-off knowledge-based companies. The Rector of KSU stated, “Now world economies have evolved from industrial production to knowledge production. Investment now focuses on minds, not machines. It is the worthiest investment in the present era”. Also, the King Fahd University of Petroleum and Minerals (KFUPM) has recently established Dhahran Techno-Valley (DTV), a business cluster located in Dhahran, to attract research and development centers of local and international companies and to promote new businesses. It is envisaged as a leading research and technology development nucleus with comprehensive business support. DTV includes the King Abdullah Science Park (KASP), an innovation center at KFUPM, a liaison office, business incubator, industrial consulting office, and a science and technology exhibition. The Saudi government has put enormous efforts in drawing new knowledge into its universities, mainly aiming to create new sectors in the national economy and transform the country into a knowledge-based-economy. The way in which The King Abdullah University of Science and Technology (KAUST) was established was a prime example of such efforts. As an independent institution, KAUST aimed to employ many of the best practices from leading foreign research universities and enable ‘top’ researchers from around the globe to work together to solve challenging scientific and technological issues. In May 2008, Cornell University was awarded a grant by the King Abdullah University of Science and Technology to fund the KAUST-Cornell Center for Energy and Sustainability. The grant was mainly aimed at learning from the US research experience and establishing international research cooperation in scientific areas. Moreover, a partnership was established between KAUST and the University of California to develop joint research in training facilities and virtual reality for the purpose of positioning KAUST campus among the most advanced visualization centers in the world. Moreover, in July 2008, King Saud University signed a research agreement with the University of Leeds in UK, under which both partners jointly organized staff exchanges and joint research and PhD projects in the areas of Nanotechnology, technology and engineering. Following its establishment, the King Abdullah University of Science and Technology also entered into numerous ground-breaking research contracts with ‘world-class’ universities overseas, such as the collaboration for research in water, soil and coastal resources with Netherlands’ Utrecht University and in research on solar energy with the National Taiwan University. The government of Saudi Arabia seeks to lure Western universities and their scientific know-how and expertise through networks and partnerships and offering scholarships to researchers globally. These partnerships seem to signal a new direction for Saudi’s higher education policies and are increasing the interests of foreign institutions in the country as a potential niche market with regard to science cooperation and research. The Saudi government is currently championing for international research and science partnerships with the primary aim of developing a national knowledge-based economy. A significant number of countries in the world are interested in building and expanding partnerships in Saudi Arabia and the Middle East at large. The European Commission, for instance, launched a new project with the aim of encouraging cooperation between universities in the Middle East, such as Saudi Arabia, and those in the European Union, providing partnership opportunities among the interested universities. In recent years, Saudi Arabia has upgraded many of its degree-granting institutions and established a significant number of universities to respond to the large demand for expansion in higher education opportunities and enhance the aforementioned contribution of the universities toward a knowledge-based economy. Saudi Arabia has developed a new model of international cooperation through science and research networks that allowed foreign researchers to collaborate with researchers in the kingdom. This new model of cooperation seems to offer favorable and mutually beneficial opportunities for partnering with the foreign universities, which – if sustained – can potentially result in economic (and possibly social) advancement in the long term. This article was adapted from Mohamed Imam Salem’s journal article, ‘The role of universities in building knowledge-based economy in Saudi Arabia” which appeared in the International Business & Economics Research Journal in September/October 2014.